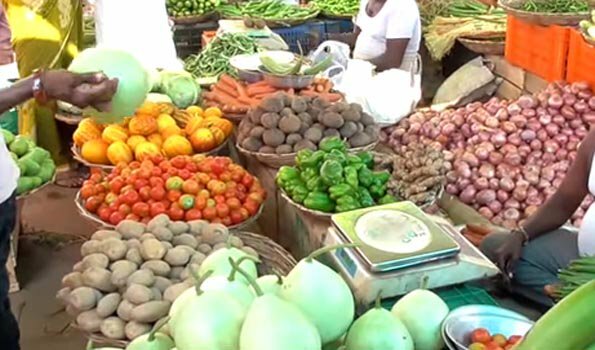 Kolkata: Any disruption in supply of essential agri products including fruits, vegetables and milk due to farmers' protest, along with high auto fuel prices, is bound to hit the common household budget, the ASSOCHAM, making an appeal to the government to reach out to farmers. "Hopefully, the situation would be handled well with assurance to the farmers about their grievances which mainly relate to a fair and remunerative price for their produce. I am sure, there can be no two opinions about improving the lot of farmers who are the backbone of the Indian economy, but a sudden disruption in supply can do harm to the entire distribution chain which is under pressure because of increasing cost of transport that is reeling under the high cost of petrol and diesel," said the Chamber Secretary General D S Rawat on Sunday. According to feedback of the chamber, the consumers of petrol and diesel and those suffering their cascading effect, want sizeable cut in the level of taxes on petrol and diesel, both at the Centre and state levels. "The level of awareness among the households about the kind of taxes on the automobile fuel has increased, thanks to the mushrooming growth of social media. The response time has also quickened so much so, that the solutions to even the vexed problems are expected sooner than later," the chamber said. "It is a Catch - 22 situation for the farmers as well. While they are seeking better prices for their produce and reduction in cost of output, the expenses on account of transportation of their crops and on diesel for pulling ground water etc, are only increasing," it said. "On the other hand, the consumer may not be inclined to take any extra burden. "It only makes imperative that the entire supply chain from the farm gate to the household must be modernised and made efficient with the help of technology and modern ways of doing business. It is in this context that large multi-national players like Walmart should be encouraged to set up both the front and back end logistics," the chamber added.